This blog became public six years ago today. I had been writing in secret for a while, trying to get the hang of WordPress, before first hitting the Publish Public setting. To celebrate, I’m posting photos of work done by each member of my little family, and pointing out my most visited pages. 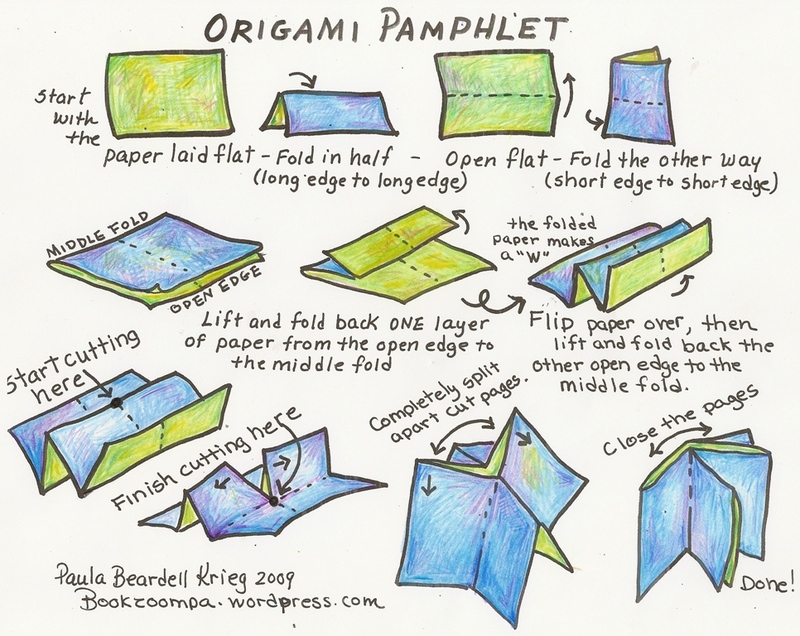 How to Make an Origami Pamphlet : 3750 clicks. My number one favorite book to makes has the most clicks. 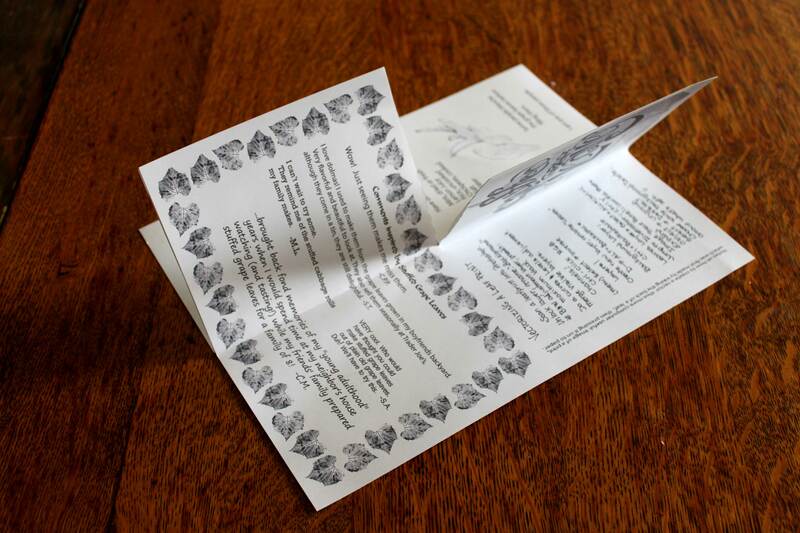 This elegant little structure is known also know as a zine, hot dog booklet, eight page pamphlet as well as by many other names. 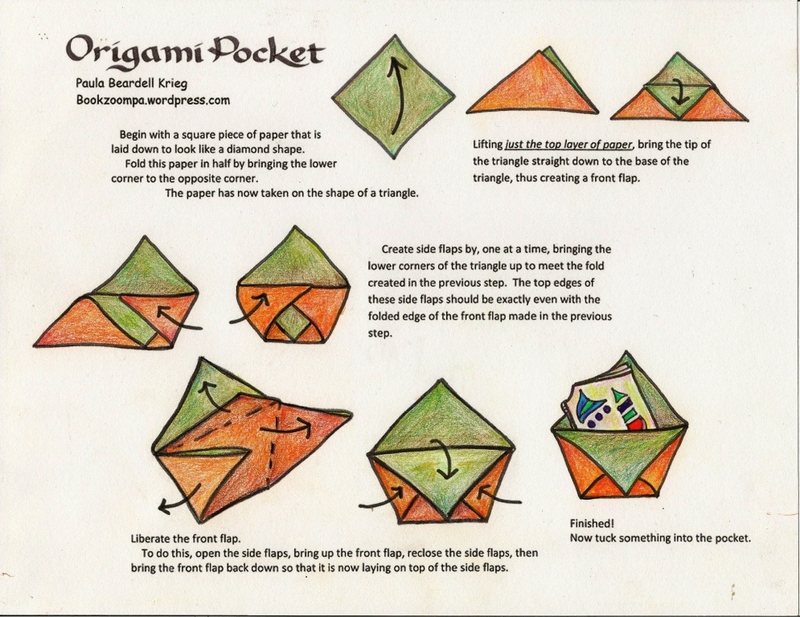 Origami Pocket Tutorial: 3647 clicks. 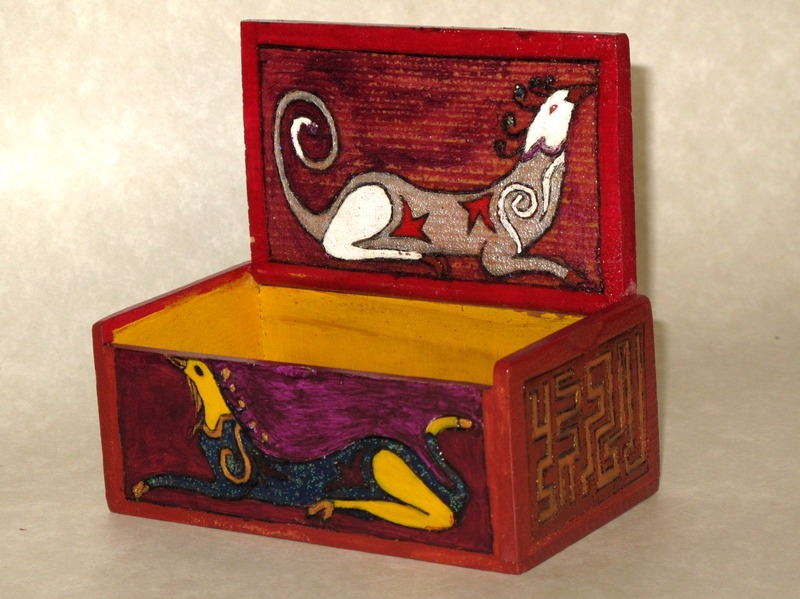 This is slightly different from an origami cup because it is sized to hold a little book. 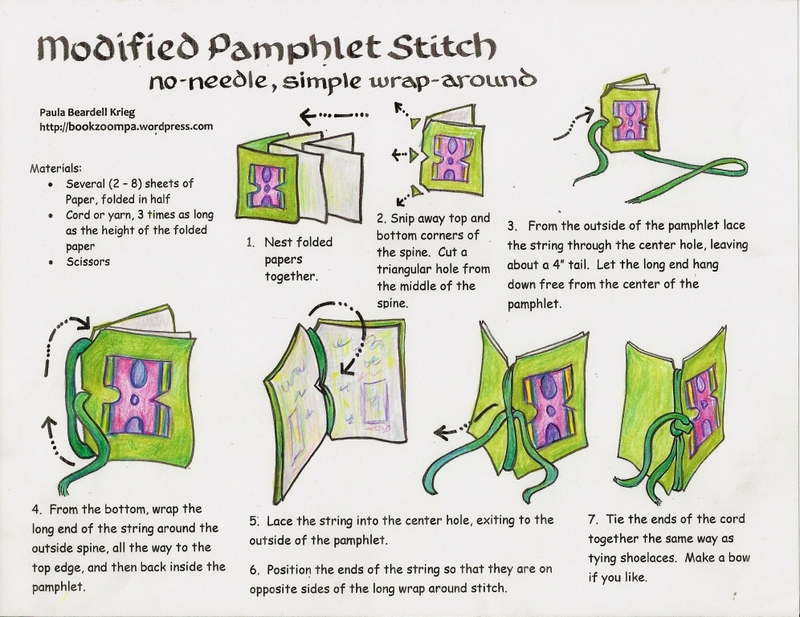 Modified Pamphlet Stitch Booklet: 3006 clicks. 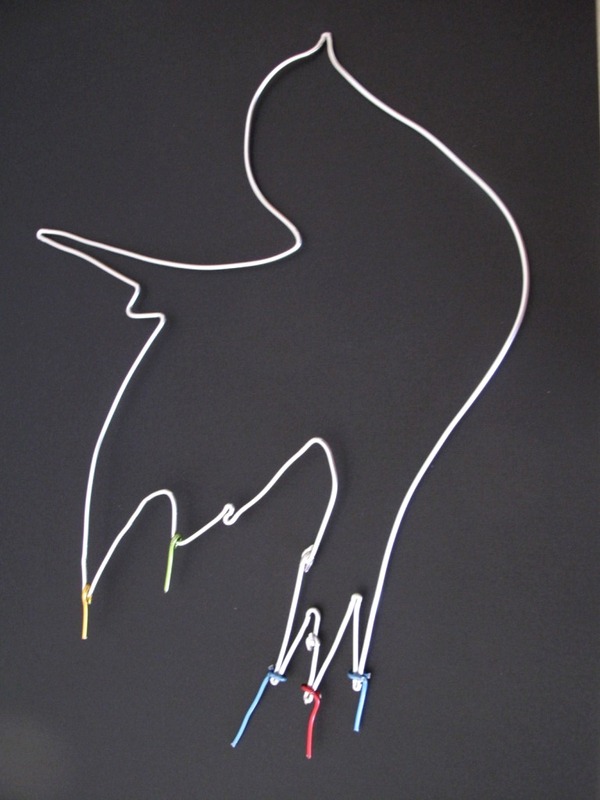 A good structure to make when needle and thread seems too cumbersome. 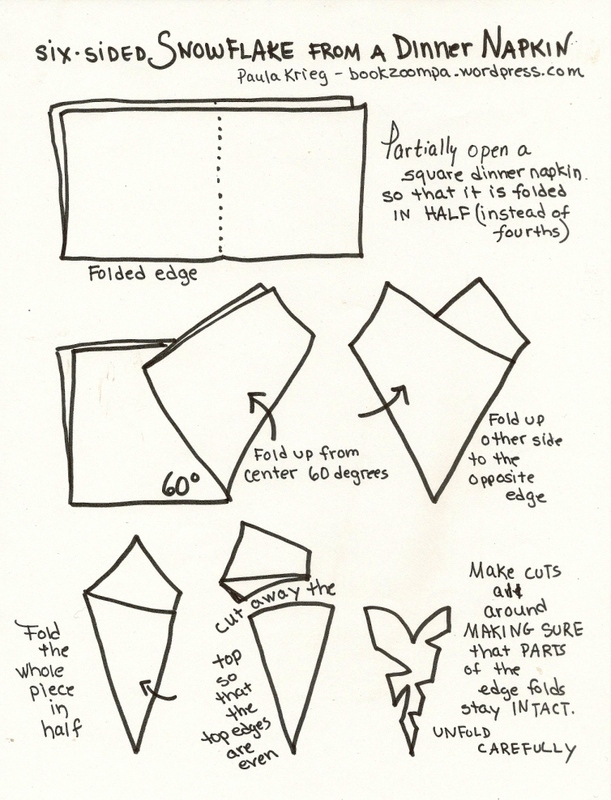 How to Make a Six-Sided Snowflake from a Paper Napkin: 2859 clicks. I made this image quickly one evening after trying to explain how to do this on the phone to my good friend Cynthia in Minnesota. There are so many tutorials on how to make a snowflake that I never thought mine would rise to the towards the top of google search results, but it has! ‘Tis the Season to Make Paper Snowflakes 34,689 visitors. These views are mostly seasonal. Elementary Nature Printing 17,198 visitors. I think it’s Pinterest that drives views to this page. 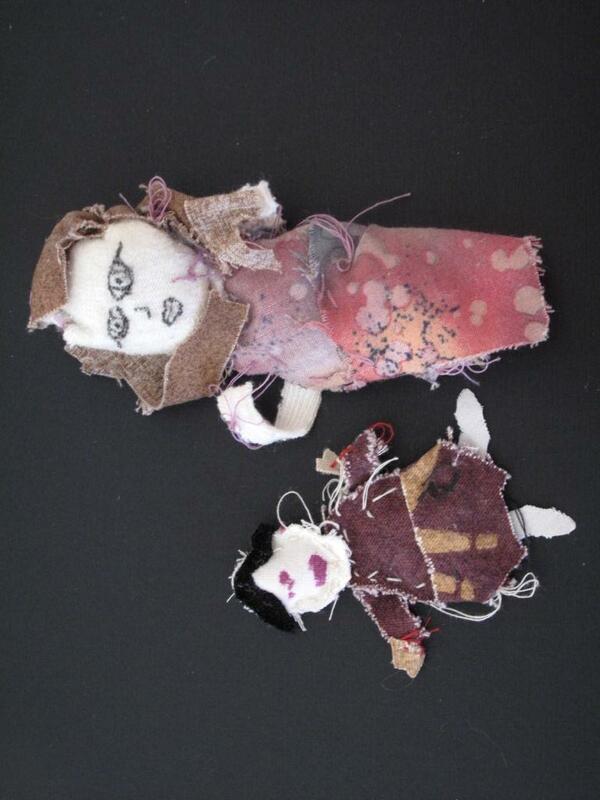 How to Make a Paper Spring 14,164 visitors. There’s not much competition on search engines for this structure. 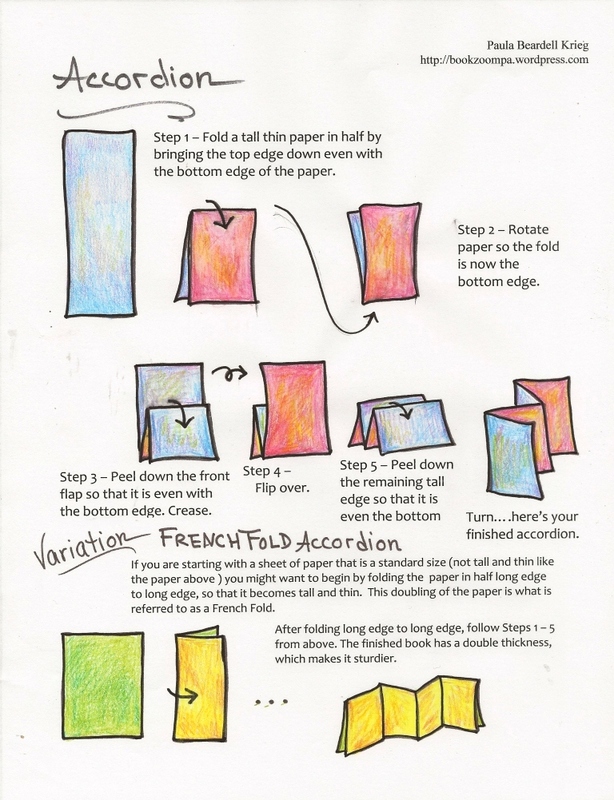 Even so, I think that the tutorial page on this post is one of my best and I doubt anyone will make one that’s better. Blush. 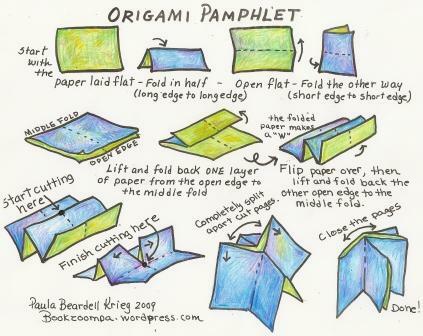 How to Make an Origami Pamphlet 13,674 visitors. This post, by the way, was published 10 days shy of six years ago. Nearly everyday this post is visited. Yesterday it got 16 views. 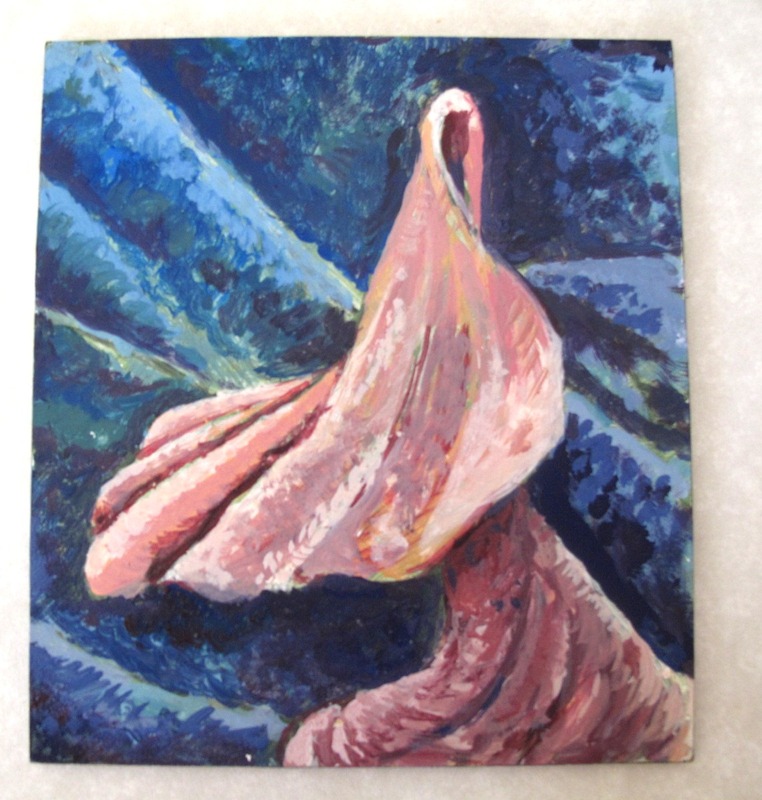 The remains on the inside of a Conch Shell, egg tempera, by me, today. So, that’s it, my six-year wrap up. Next year maybe I will write about my own favorite posts. Thanks for visiting. It means the world to me to know you’ve stopped by. 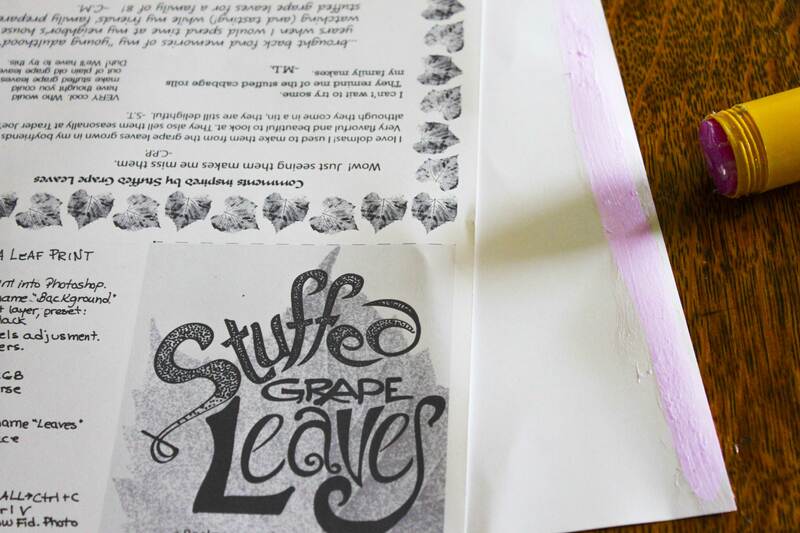 The point of my last post Stuffed Grape Leaves was to start to create content for a small black-and-white-copy-machine zine. 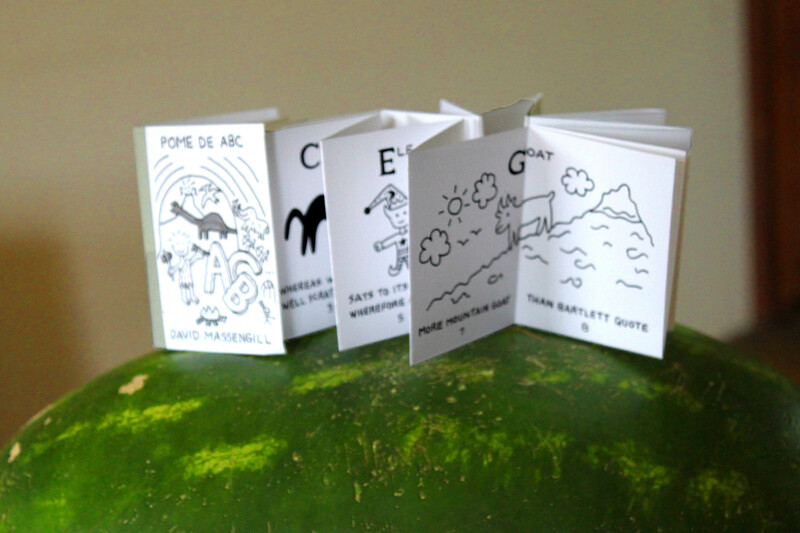 If you’re wondering what a “zine” is, well, you’re not alone. 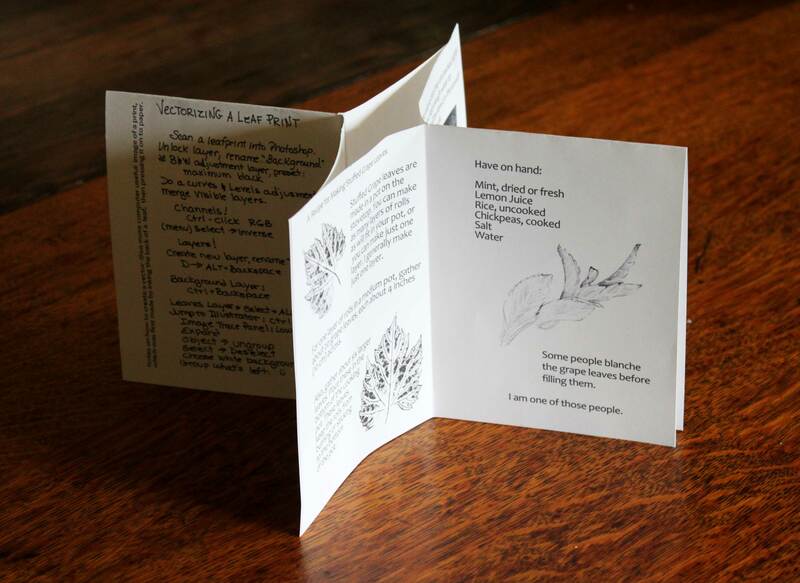 There doesn’t seem to be any clear consensus on the definition of zine, but, happily, there doesn’t seem to be any debate about it either: just discussions and conjectures. 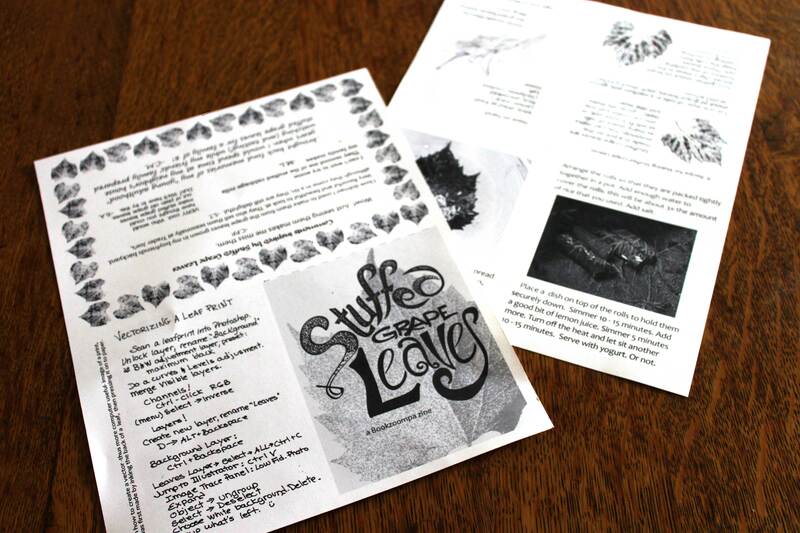 An enjoyable read about this is on the Brooklyn College Zine site . I also like what the New York Public Library has to say on the subject. 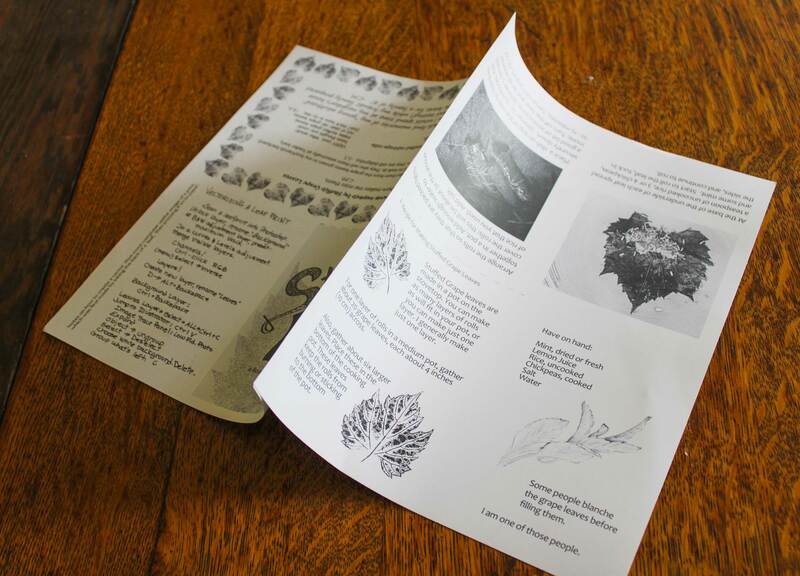 Personally, I think of a zine as a book made on a copy machine from a single sheet of paper, which is then folded into book form. There’s so much that I wanted to put in this little book that I decided it needed to be made out of two sheets of standard size copy paper. I grabbed content, as well as some of the comments, from my last post, and added in a bit more. 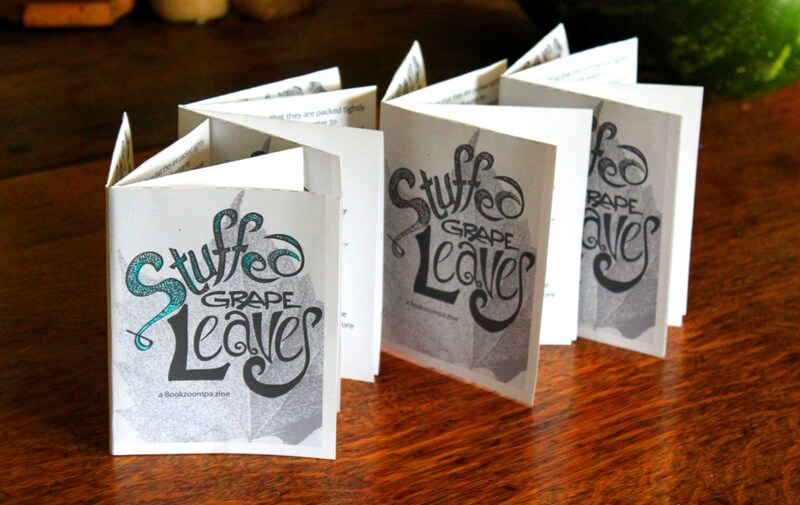 The two pages had to be laid back-to-back and glued along one edge. 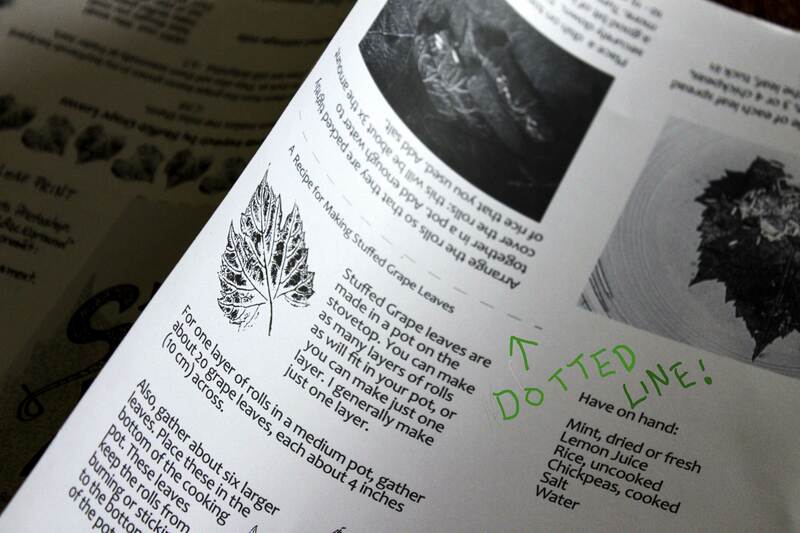 It’s easy to glue them together wrong, so I made put dotted lines, which define where the paper is cut, in the part that will be the middle of the book. This proved to be a good landmark for me. If you look close you can see the dotted line above the word Stuffed. 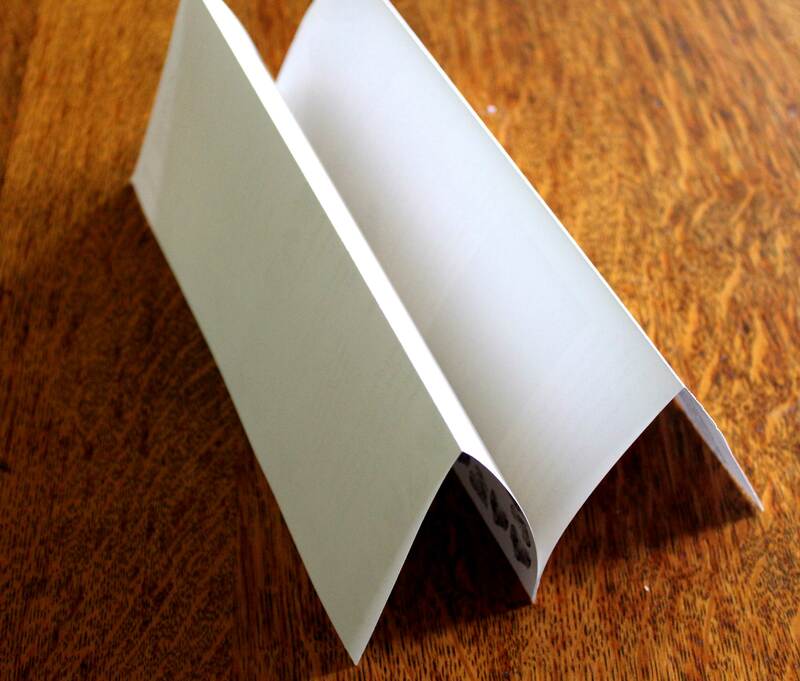 The photo at the top of this post show what the pages look like after being glued together. Here’s a close up of the dotted line and the second page, still barely visible, and it disappears completely when the cut is made. 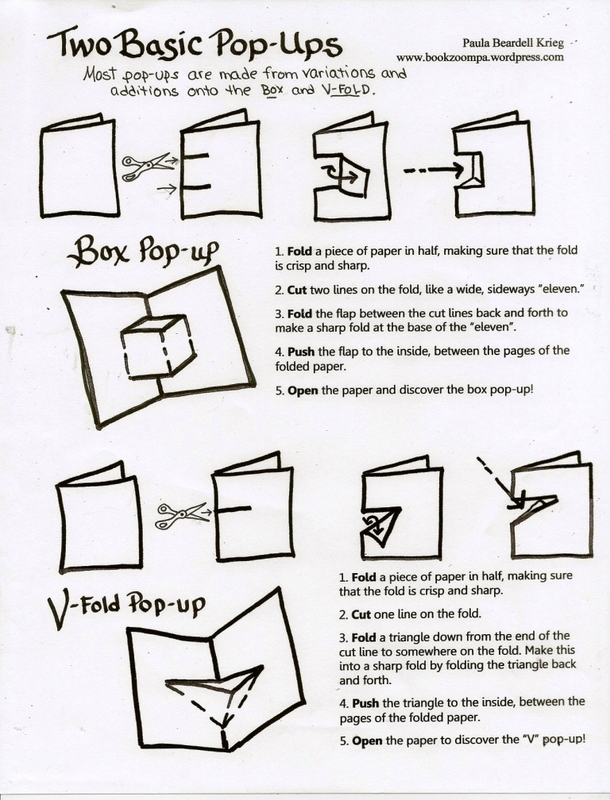 Next, the pages are flipped over, and the edges are folded towards the center. Flipped over again, cut on the dotted line… …then opened into an open book that needs to be closed. One again, here’s a link to a whole collection of directions on how to do this. Okay, so I made a bunch of these. It felt good. 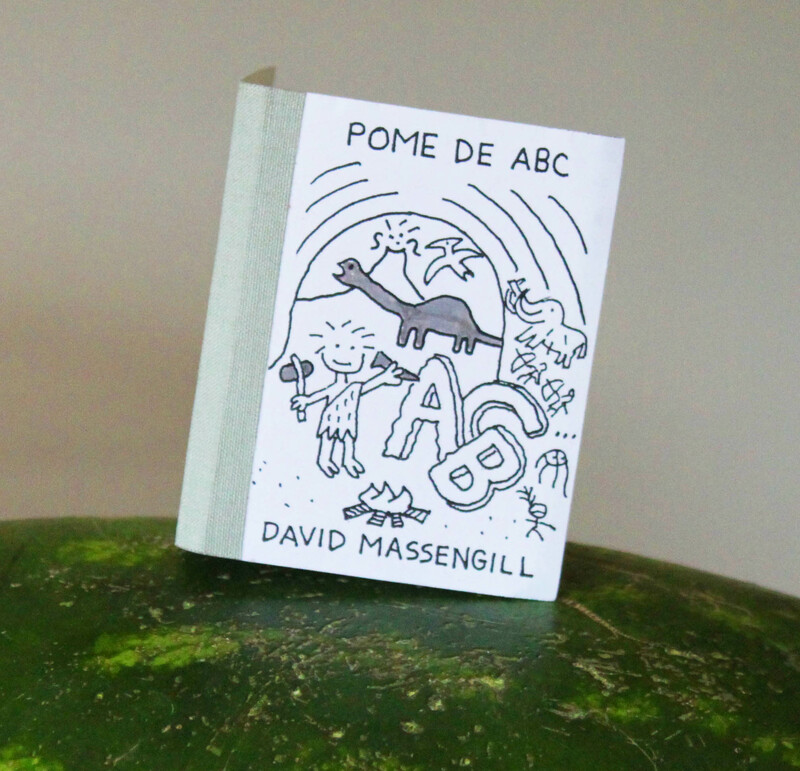 But then I happened to come across an itty bitty book by David Massengill, that Sarah, from Caffe Lena, had given to me after David had performed at Lena. (BTW, if you click on David’s link his music will immediately start playing. This is something that usually irritates me, but not in this case. His music is completely enchanting…as are his little books.) This book stands just about three inches high, and, though the structure is a different variation of the one that I’ve shown, it’s still of the put-through-the-copy machine-and-start-folding genre. This book was written and drawn with such a light, clear hand that I was envious…not an emotion that I like, but one that I will allow to influence the next little zine I make. Now I’m going to go have a listen to David’s music. The first time that I saw printed directions for this book stucture was in a book, which I did not buy, in a Teachers Store somewhere in Brooklyn, about thirty years ago. I tried to memorize the instructions (I failed). It was a couple of years before I found it again. Over the years I have come across many, many sets of instructions for this structure. Maybe one day someone will collect as many versions as they can find and post them all in one place. But, for now, here’s my most current version (This, the third or forth attempt at getting it right.) 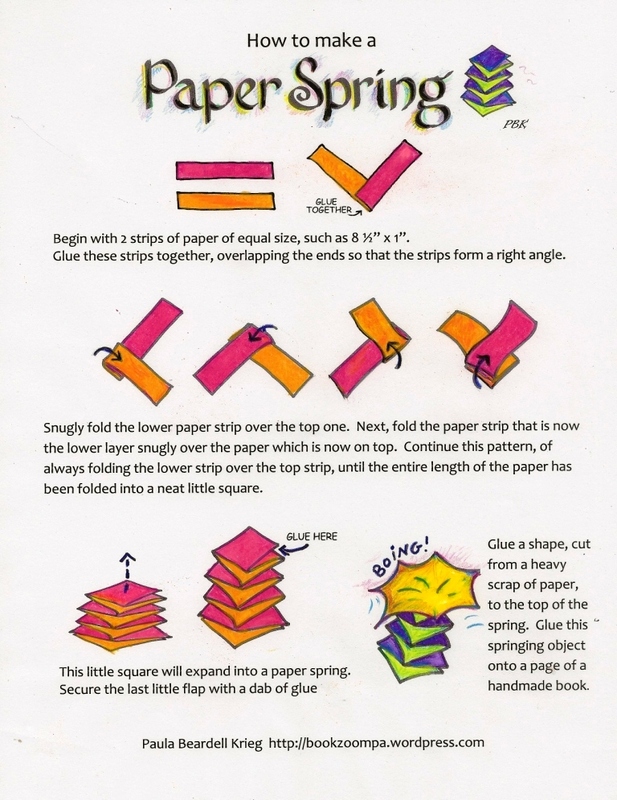 If you want to print it out, this link : Making an 8-page Origami Pamphlet will be a better quality than the above image. 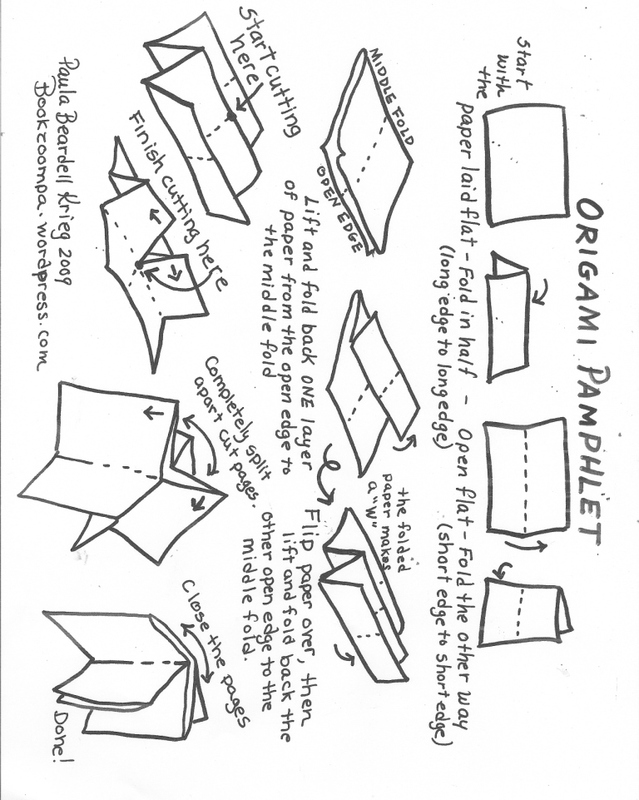 For black and white printing, here is the B&W handout for the Origami Pamphlet. Please send me links to any other tutorials like this that you may find!